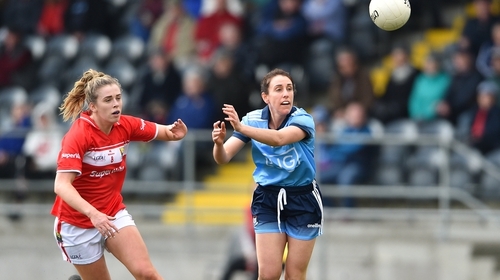 Mick Bohan says Dublin will be hurting after Cork avenged their All-Ireland final defeat in the final round of Lidl NFL Division 1 games, but after the loss Dublin will get another crack at Cork in the semi-final in two weeks’ time. "It was unusual circumstance going into the game," said Rabbitte. "We knew if we won we’d be playing Donegal again and that’s the way it is. I thought there was a small bit of shadow-boxing going on but not really on our part, we just went out to win the game." "It’s not our most impressive performance and we were a bit sloppy in our passing and soft in our tracking, but they are things we can learn for the next day, which will be completely different." "They were missing a number of players, but I am delighted with the performance of our younger girls and this league has been very good for us in finding a number of new players," said Fitzgerald. "But we know the semi-final will be a totally different affair and they will be far stronger next day out." Bohan admitted his side were bruised after their second loss of the league. "It was a good chance for some of our players to test themselves against one of the top sides in the country," said Bohan. "We don't like to lose any game and it always hurts when you do, so, yeah, we are hurting a bit now." "It’s great to finish the league on a high. I’m delighted with that," said Westmeath manager Sean Finnegan. "It was a difficult league and we always knew it would be, but to start with a win and finish with a win is great. I’m delighted for the girls."